In 2016, Benjamin, an AI created by creative technologist Ross Goodwin, wrote and directed a short film titled SunSpring. The film was created by feeding Benjamin a bunch of sci-fi scripts from film and television and asking the AI to generate its own script. Earlier this year, in July, Benjamin created another film, Zone Out, that took things a step further. The process allowed Benjamin to superimpose performances from a group of actors over existing scenes from well-known movies to create a new film. The results in both cases were interesting to say the least. But while these curious experiments haven't been successful in the traditional sense, they are prompting more experimentation. Burger King, for example, released a set of AI-written ads. Mashable described them as a "beautiful disaster". Again, the results were amusing, more than disturbing; they demonstrated how far artificial intelligence still needs to evolve in terms of the creative sector. That is not to say, however, that AI is not being adopted in the creative industries or that all such experiments turn out equally poorly. 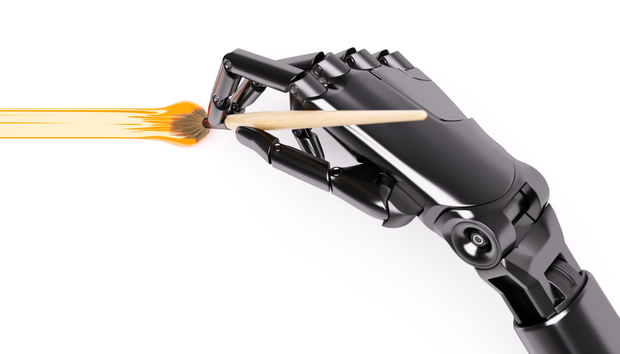 Chris Lloyd-Jones, Avanade's Emerging Technology Engineering & Product Lead, says that the creative sector seems to be embracing artificial intelligence to supplement creativity and content creation, rather than replacing any one task. Right now, AI in its broadest sense refers to the second wave of 'statistical learning', that is solving problem domains. "It's yet to be given the power to generate new ideas and enable understanding based on context - this would be the third wave of AI," Lloyd-Jones says. Bianca Wright is a UK-based freelance business and technology writer, who has written for publications in the UK, the US, Australia and South Africa. She holds an MPhil in science and technology journalism and a DPhil in Media Studies.